Welcome to Day 74 of 100 Days of Disney here on The Purple Pumpkin Blog! Be sure to check out all of the other posts in this series, and if you would like to share your own Disney blog posts or pictures, make sure you check out the #100DaysOfDisney Link Party! 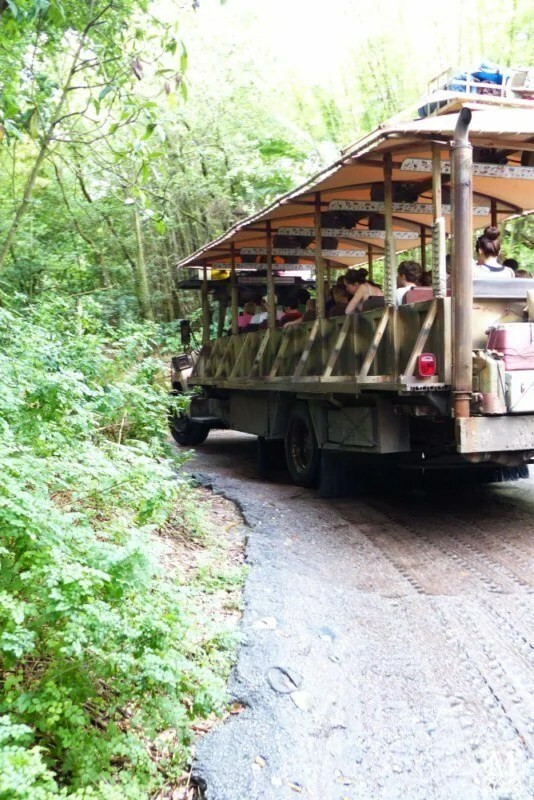 Today I’m talking about one of our favourite attractions at Animal Kingdom – Kilimanjaro Safaris! 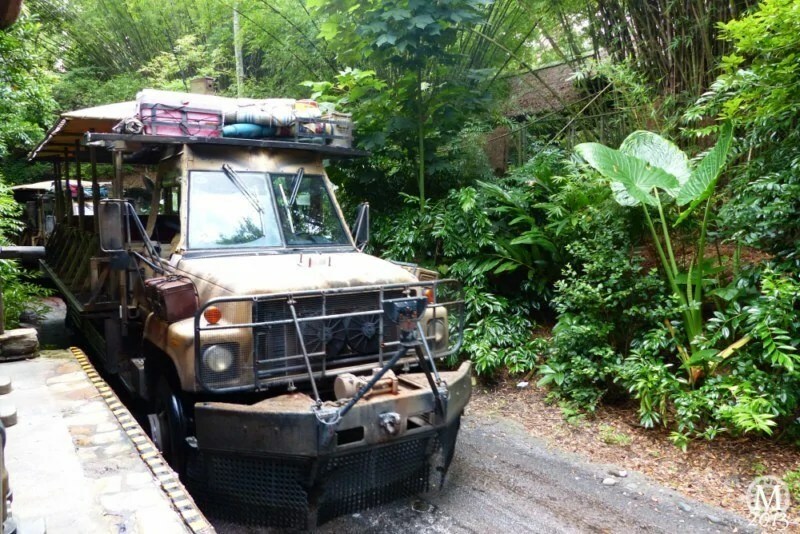 You board a safari tour bus which winds its way around Harambe Wildlife Reserve where it is said you’ll never have the same safari twice! It’s quite a bumpy ride, with your safari driver telling you facts about the animals as they spot them and point them out for you. It is a really popular ride, so a FastPass+ is definitely required in high season. The seats on the truck are bench type without seatbelts, so hold onto younger children, and to your hats/glasses/loose articles. Featuring picturesque open plains, shady forest landscapes and rocky wetlands, the 110-acre Harambe Wildlife Reserve is a spectacular sanctuary dedicated to the protection of African animals. Since the animals are roaming free, there does come times when they move across the path of the truck – we’ve been stopped by these ankole cattle (check out the size of their horns!) 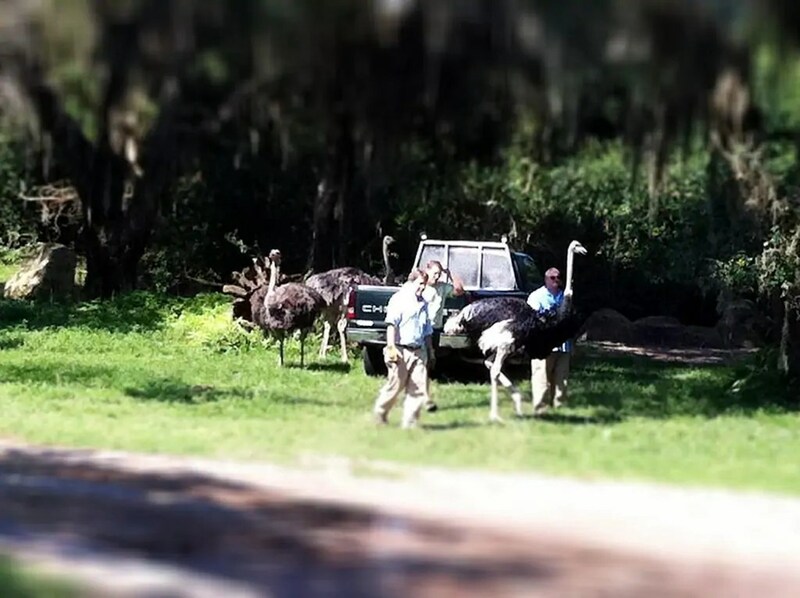 a couple of times, and another time there was a rogue rhino and ostrich, but keepers soon made the road safe again. According to Wikipedia, these are some of the animals that you can see as you take the 18 minute tour around the reserve – we’re going to be doing a lot of spotting this year as I know we’ve probably not even seen half of these! Make sure you have your camera ready if you want to take photographs along the way – the safari truck doesn’t really stop, unless it has to, so you have to be quick! Day 74 of #100DaysOfDisney is done – 26 to go!